- Confirmation will be reply within 24 hrs. - Ticket is valid the on the date of visit as stated. - Please print off this ticket and bring it with you to the Wave Desk, or show us this email on your phone upon check-in process. - Please arrive 30 minutes prior to wave booking time to complete check-in procedure. - 15 Minutes late is considered “NO SHOW”. - Riders must be over 107cm (42") to bodyboard and over 133cm (52") to ride standup on the FlowRider®. - ALL riders must present a government photo identification in order to ride. - Riders under 18 years of age must have a parent or legal guardian with a valid photo identification present to sign off on their indemnity form. - Wave Sessions Start promptly at the beginning of each hour. 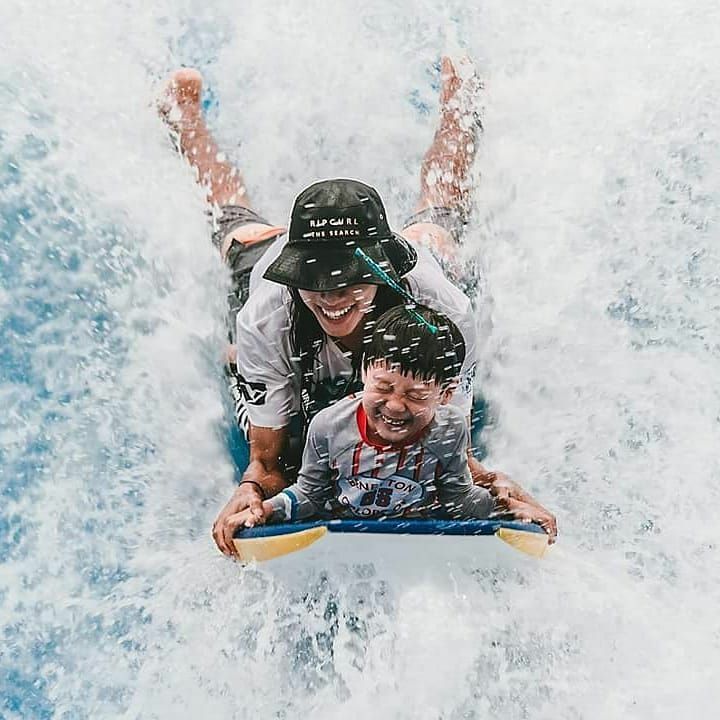 - Waiver form must be signed by first time visitors before FlowRider session. Riders that refuse to sign the waiver form will not be permitted to enter the FlowRider. - Ticket are strictly not exchangeable, transferable and refundable. By BTS or MRT: BTS Phrom Phong Station (Exit 6) 20 minute walk; & from MRT Queen Sirikit Convention Center, QSNCC Station (Exit 1) 15 minute walk. By Taxi – TukTuk: Take a Taxi or TukTuk up Sukhumvit Soi 26 until you see A-Square community mall. By Car or Bus: Easy access from Sukhumvit Road Soi 26 and Rama 4 Road, and from the Expressway network via the Port Exit.